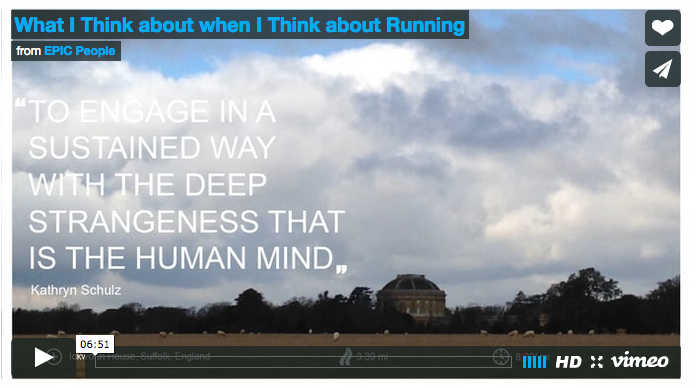 PechaKucha—This presentation reflects on the cognitive impacts of running. It is a personal reflection on the desire (and need) I have to run. Running is an activity that has both banal and transcendental aspects. It’s physical, time consuming and sometimes verges on boring, but it also has impacts on conscious and unconscious thought. Multiple authors have explored the experience of running but I suggest that running allows me to think in more unconstrained ways than I can on other occasions. The cognitive affordances of running are, at least for me, creative stimulus. Its physicality is a refreshing break from the mental work of ethnographic analysis. Simon Roberts is former co-organizer of EPIC and partner at Stripe Partners, a global strategy and innovation studio based in London. He has a PhD in anthropology and has formerly worked at Ideas Bazaar, Intel and ReD Associates.